The all-star soundtrack features music from G-Eazy, Yo Gotti, YBN NAHMIR, A$AP Rocky, Gucci Mane, 21 Savage, London On Da Track, Khalid, A$AP Ferg, Tone Stith, 2Chainz, Goldlink, Logic, French Montana, Remy Ma, Wiz Khalifa, Leikeli47, Grace Sewell and more. 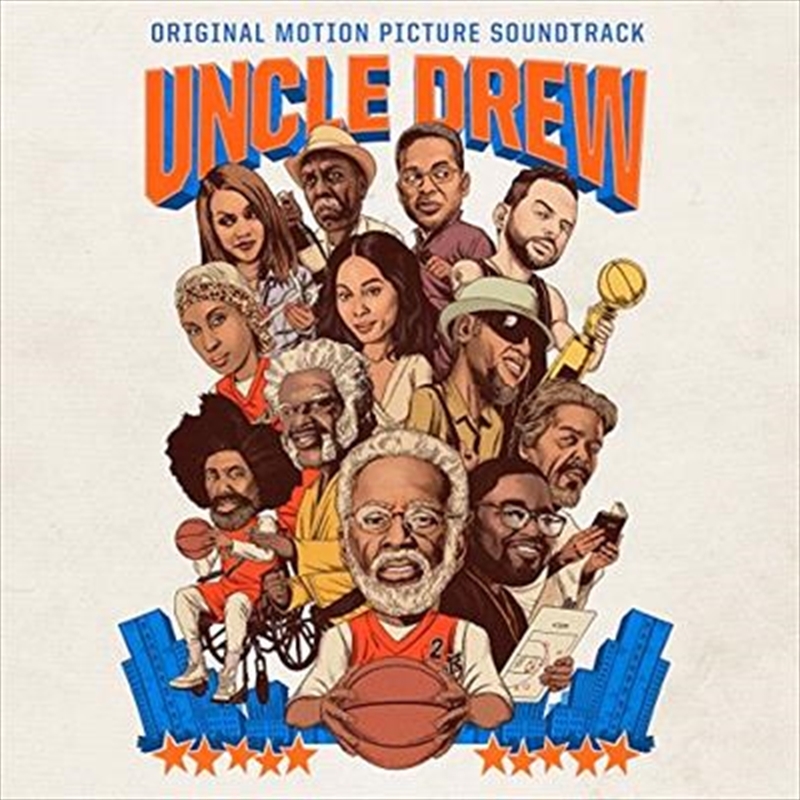 Making a very special guest appearance on the soundtrack is none other than UNCLE DREW star Kyrie Irving with Lunchmoney Lewis. Desperate to win the tournament and the cash prize, Dax stumbles upon the man, the myth, the legend Uncle drew (NBA All-Star Kyrie Irving) and convinces him to return to the court one more time. The two men embark on a road trip to round up Drew's old basketball squad (Shaquille O'Neal, Chris Webber, Reggie Miller, Nate Robinson, and Lisa Leslie) and prove that a group of seniors can still win the big one. 5. I Can Feel It GoldLink ft. H.E.R.